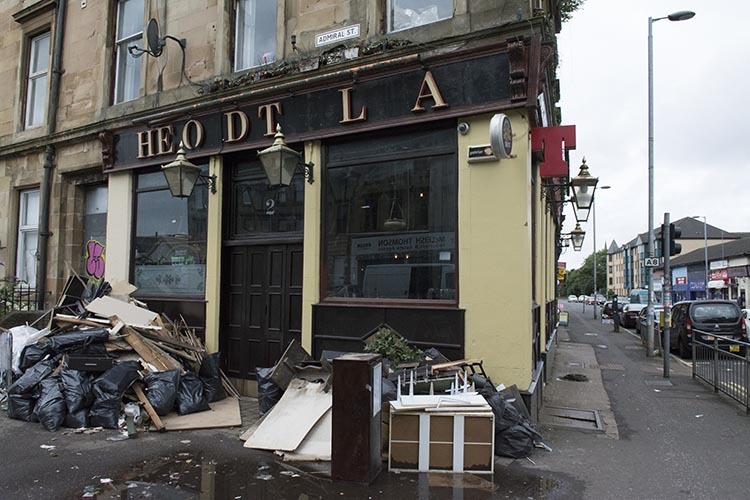 1-3 Paisley Road West, Glasgow. G51 1LF. Tel: 01414293135. 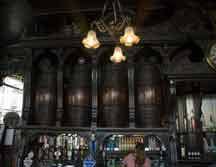 The Old Toll Bar is one of Glasgow's hidden treasures. 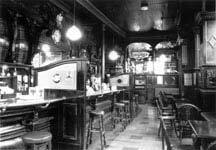 To read the full history of this great pub click here. After a closure of two years. 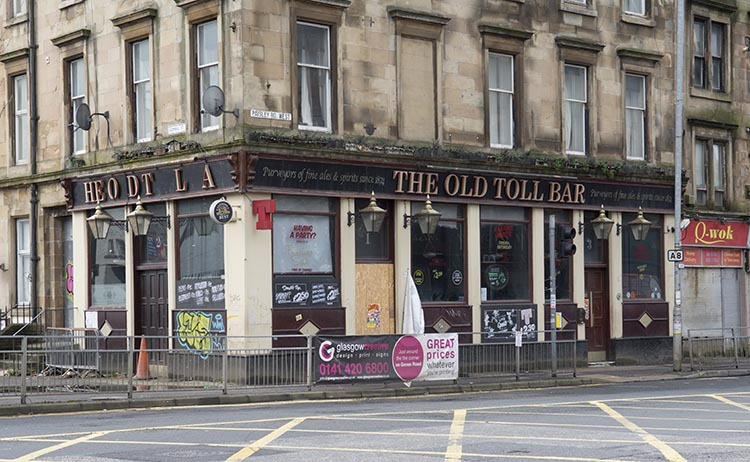 The Old Toll Bar, Paisley Road Toll, is getting a facelift. 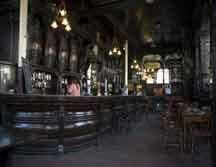 We at Old Glasgow Pubs went to investigate and to make sure the interior was not in any way dismantled. We got a shock when we first arrived at the Old Toll and discovered lots of wood and black bags of rubble outside the premises. 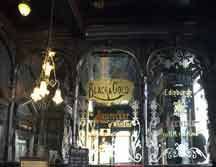 As we went inside the pub the interior was still intact, the outside has been painted as well as the interior. New coats of paint on the walls and new toilets. 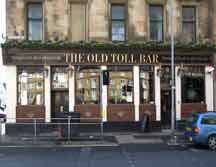 We should see the Old Toll Bar open in two weeks time. 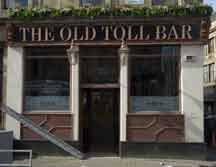 The Old Toll Bar September 2016. The Old Toll Bar, with old wood and black bags of rubble, September 2016. 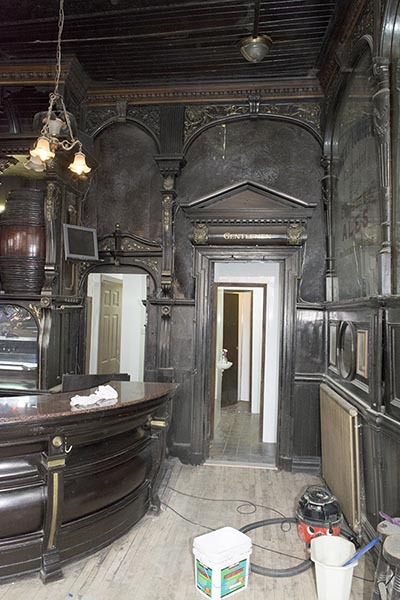 The Old Toll Bar, toilets, September 2016. 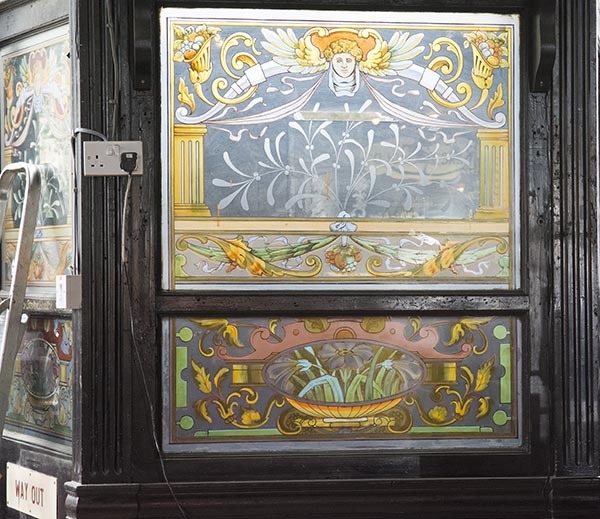 The Old Toll Bar, one of the many stained Glass windows, 2016. 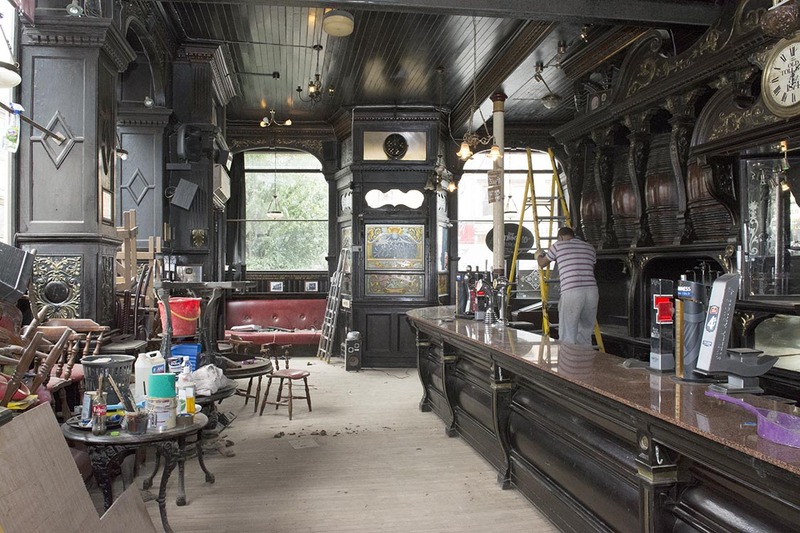 Interior view of the very dusty Old Toll Bar 2016. 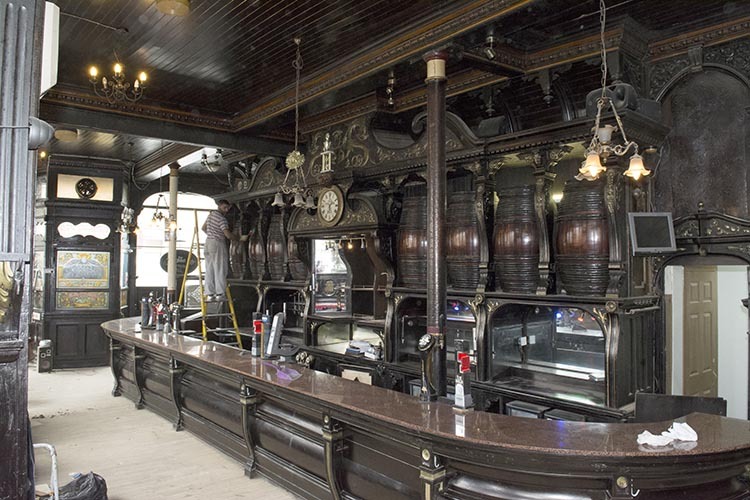 Interior view of the main bar, workmen sanding the wood. 2016.